So far Marina Kazanjian has created 1 blog entries. The United States Sports Academy is currently planning teaching projects in the exciting locations of China and Southeast Asia. We are seeking qualified faculty to teach sports-related courses for various dates throughout 2019. Instructors selected to teach in these programs can expect reasonable compensation in addition to round-trip airfare, housing, food and transportation while on assignment. Depending upon assignment, breaks in the teaching calendar may also afford the opportunity to experience local cultures and attractions in exotic locations. In most instances, a graduate degree and professional experience in the discipline are required.  Instructors should forward a letter of interest, resume, availability for assignments and three professional references to: jobs@ussa.edu; United States Sports Academy; Attention: Human Resources; One Academy Drive; Daphne, AL 36526; or fax: 251-621-2527.